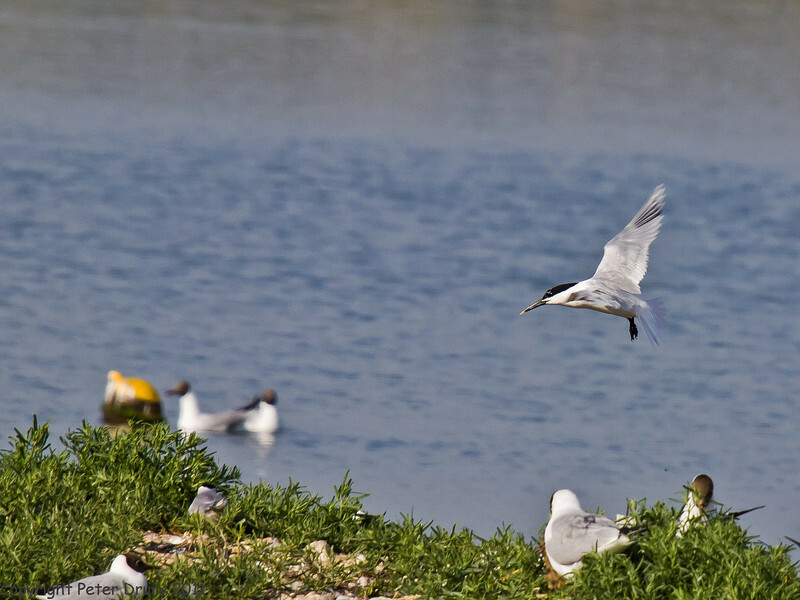 These birds can commonly be seen around the lagoon during May to August. All have used the islands for nesting. They have spent the other months in Africa and return here each year to breed. 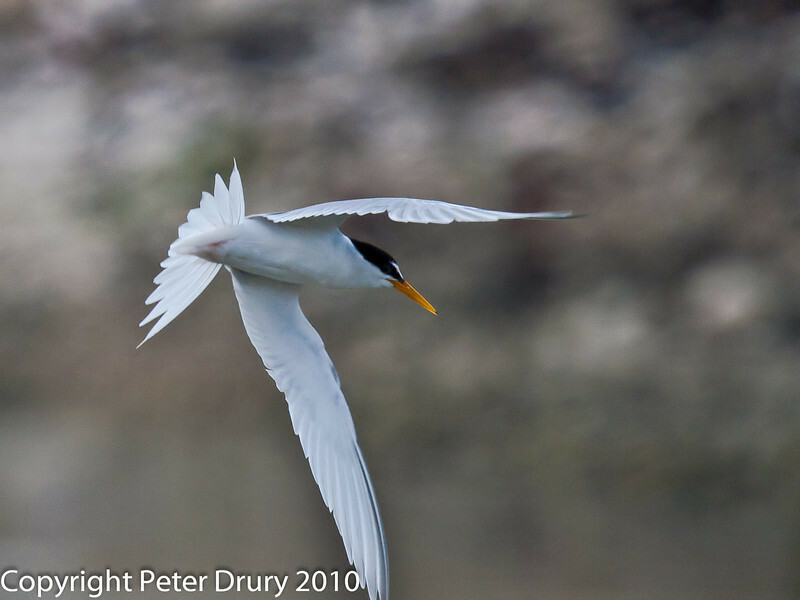 Tern have a very aerodynamic shape and are powerful and skilful fliers. Always a pleasure to watch. 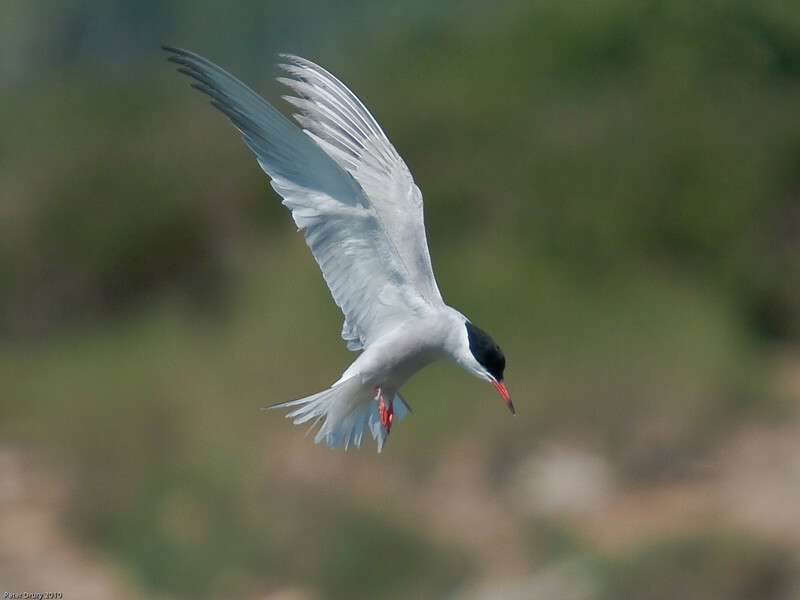 These, as the name implies, are the smallest of the Tern that visit us. They originally used the two islands in the Oysterbed lagoon to breed. They have been displaced by the Black-headed Gulls and Common Tern and now nest on the RSPB islands in Langstone Harbour. 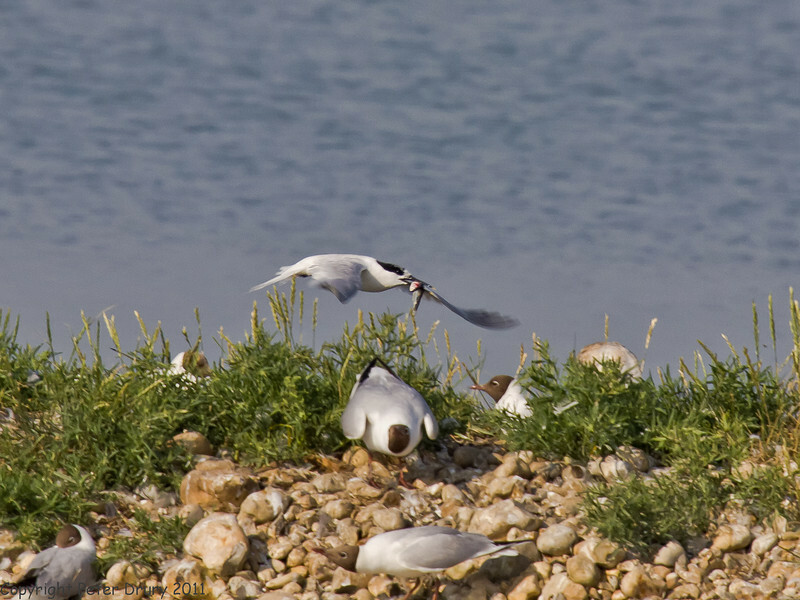 They do still visit the lagoon to fish and can be seen over the coastline from the road bridge to the Oysterbeds. Seen here hovering over the lagoon in typical hunting pose. The distinctive features of these birds, apart from size, is the yellow beak and white forehead. 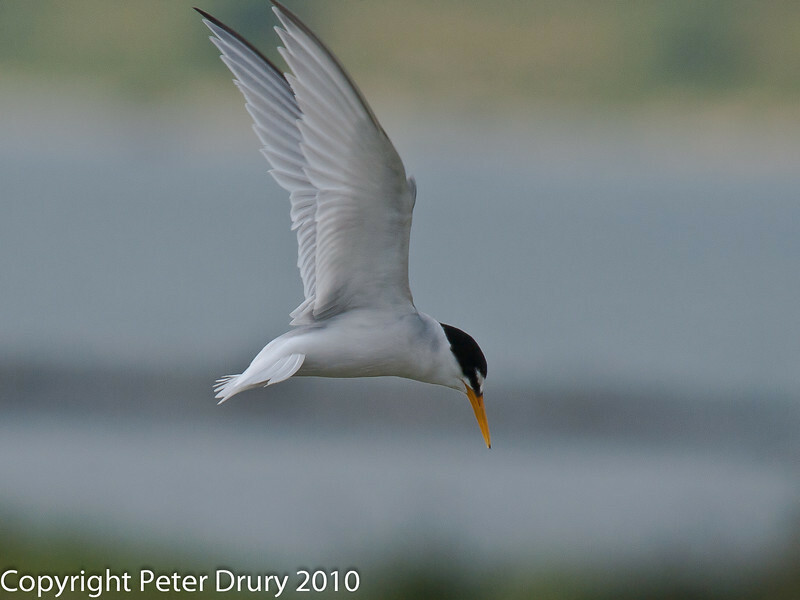 In 2010, another bund, further north, was re-charged with fresh gravel and decoys were placed on top to attract Little Tern to use the bund. This unfortunately was not successful. 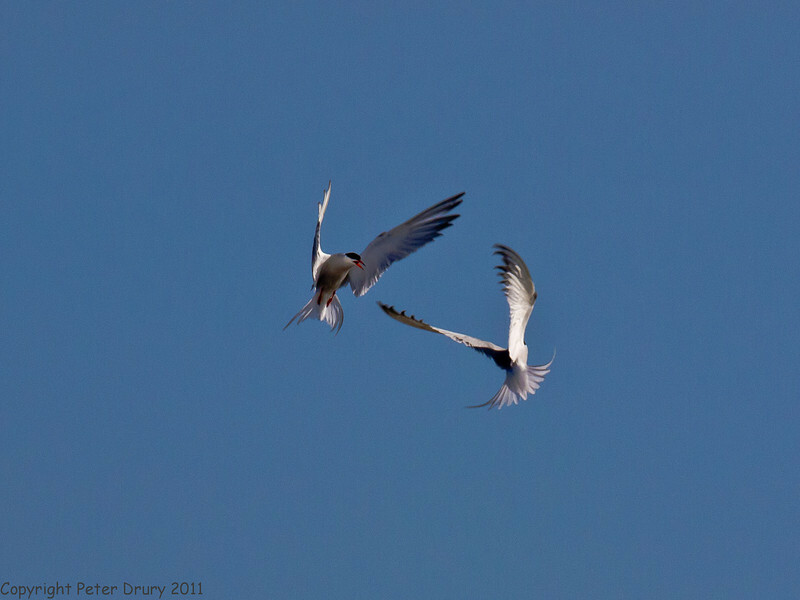 Some 100+ pairs of Common Tern nest each year on the two lagoon islands. They put on aerial displays which are simply stunning. The distinctive features are the red beak which is black tipped and the red legs. 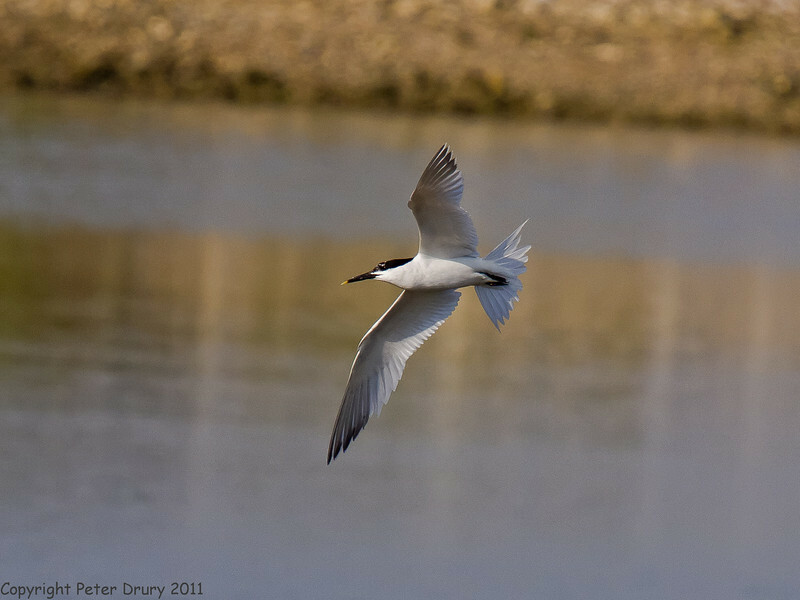 These are the largest of the Tern commonly found in Langstone Harbour. Seen here flying over the lagoon. About 6 pairs took up residence on North Island for the first time in 2011. The main nesting site for this species is on the RSPB Islands in the harbour. 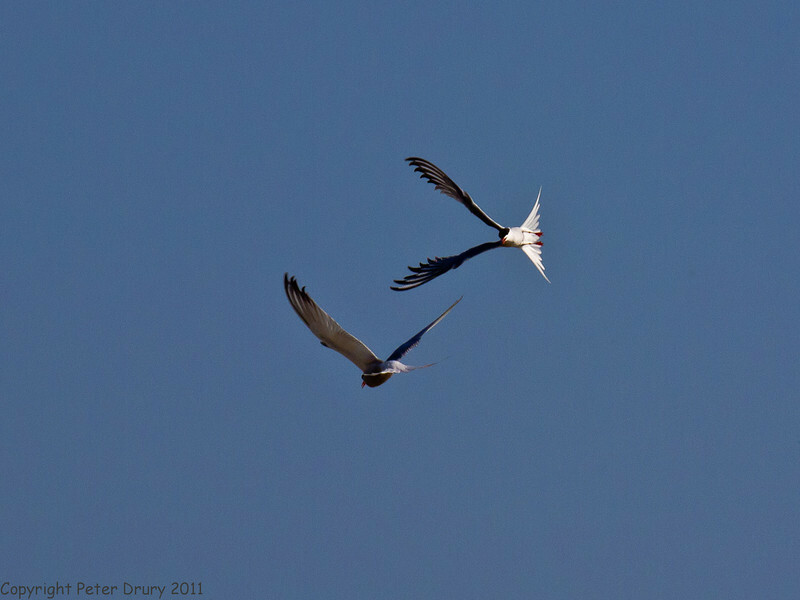 I hope these images encourage you to see these fabulous birds between May and August at the LNR.